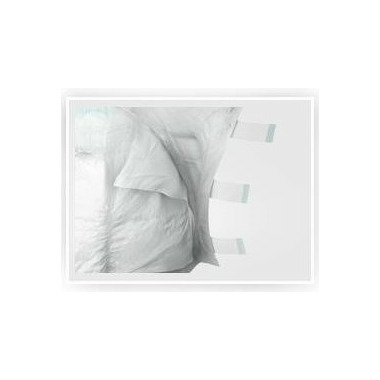 Depend Protection with Tabs Underwear is designed with four Refastenable Tabs tabs for discreet open changing. 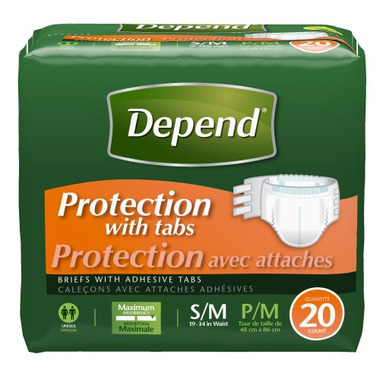 Depend Protection with Tabs incontinence underwear offers maximum incontinence absorbency and sensitive bladder protection for men and women, featuring a wetness indicator line so you know when it’s time to change. Including built-in additional side leakage for extra protection, Depend Brand incontinence products are latex-free and contain no lotions or fragrances.